Nike and PSG have collaborated with Paris based artist Tyrsamisu for a wavey new typography design available exclusively for the club’s Jordan collection. Tyrsamisu created the typeface “by scanning a classic basketball typeface and distorting it manually” alongside design also inspired by traditional football numbering to mix, break and twist the rules of both sports in the striking new design. 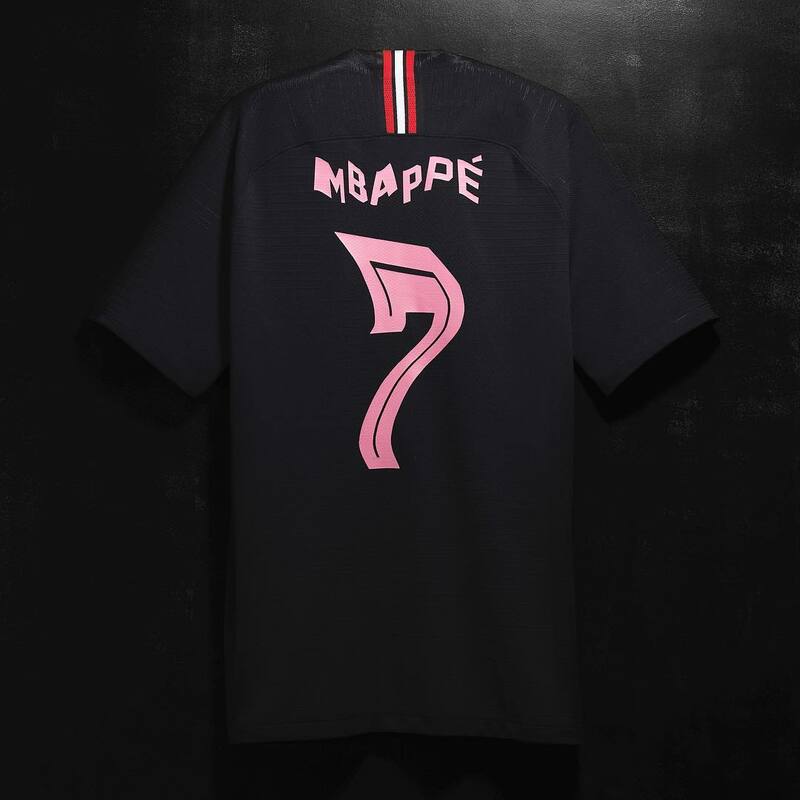 Each individual lettering and figures all have 2 different options to avoid duplication between shirt to shirt, which allow lucky sign-up guests to create uniques pieces at the Nike pop-up event at the Champs-Élysées Nike store today. The sign-up list is now full up, but the PSG x Jordan range has now restocked to coincide with the launch of the new typeface. In other football shirt news, Real Madrid have agreed a record-breaking billion-dollar deal with adidas to remain their kit sponsor for the next ten seasons.